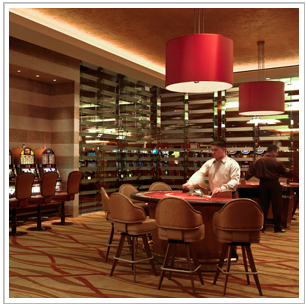 Lay, Pitman & Associates is a team of full-time professionals who have designed casino vessels for major operators throughout the country. 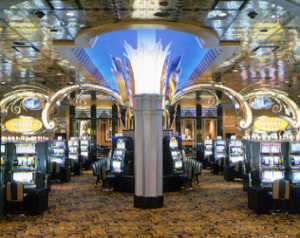 Currently, more than thirty LP&A designed casino vessels have been built and several more are under design development, making LP&A a leader in casino vessel design experience. 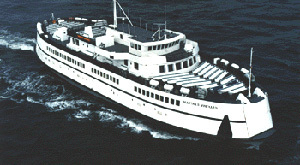 LP&A also specializes in all aspects of vessel design for the entire marine community. Since 1959, LP&A has built its reputation on designing unique vessels which meet our clients’ diverse requirements. In addition to casino vessels, we also design a wide variety of vessels including dinner and overnight excursion vessels, auto/passenger ferries, research vessels, container ships, tugboats, private motor yachts and specialty projects including an exploding stunt trawler for Universal Studios Florida. Lay, Pitman & Associates specializes in preparing complete designs from concept to working plans. Preparation of detailed working plans is a formidable task, but the result is a vessel built on time and within budget. Our goal at the onset of each project is to have a satisfied customer and friend at the end. This unusually high level of service has been and will continue to be our trademark. Through a collaborative team approach, we have provided creative and practical designs to produce vessels which are profitable, efficient and easily maintained. Years of experience have proven that many elements which contribute to a vessel’s success begin with the design. As President, Matt Pitman orchestrates a highly skilled staff of Naval Architects, Marine Engineers and Designers, and is intimately involved in every project, large or small. Our impressive record of innovative designs and practical engineering achievements can be traced to a staff which possesses exceptional training and extensive hands-on experience. Our design team gives us a professionally strong nucleus whose superior work is reflected in our reputation. Our staff has proven to be our most valuable investment. LP&A offers “full-service” vessel design including layouts, structure, outfitting, mechanical systems, HVAC systems, electrical systems, feasibility studies, stability analysis, specifications, concept designs, vessel inspections, and shipyard and regulatory liaison. We enjoy an excellent reputation not only with shipyards, owners and operators, but also with the U.S. Coast Guard, the American Bureau of Shipping, and Bureau Veritas. In today’s market place, a professional’s ability to procure and maintain Professional Liability Insurance is critical to an Owner and in most instances demanded by lending institutions. Lay, Pitman & Associates, Inc. currently carries Professional Liability Insurance in the amount of $1,000,000. We also have the ability to obtain specific project insurance or receive higher limits on our current policy should it be requested.